I completely agree with the book’s aspiration for us all to think differently about poverty. That’s also the foundation of new JRF research from the Frameworks Institute that seeks to better understand how the public think about poverty and what can be done to use that knowledge to communicate more effectively. This week, JRF held two large conferences (I was at the one in Edinburgh) to showcase the findings from this research and test them with the people and organisations who want to have a more productive conversation about poverty. Underlying this research is the view, shared by JRF and the Webb Memorial Trust, that public attitudes matter and that solving poverty will be impossible without greater levels of support. Testing messages using different forms of wording and appealing to different concepts shows it’s better to focus on common values of compassion and justice to show why solving poverty matters. It’s also more effective to address poverty head on rather than leading with a failing benefits system, or overtly political messages about austerity or government cuts. The most effective way of explaining how poverty comes about is to say that the economy locks in, restricts or traps people, preventing them from having a full range of choices. This appeal to the structural drivers of poverty is in tune with JRF and Webb Memorial Trust analyses. And while mention of social security should not be up front, it is effective when talked about as a solution to the constraints that people face – as part of the solution rather than the cause of the problem. Finally, the most effective ending to the story is to explain that the economy – the markets for jobs, housing, childcare and so on – can be reshaped to unlock the traps that people face. This should be done by using stories about experiences as well as statistics about the bigger picture to bring the problem of poverty, its causes and solutions to life. The research shows that we can significantly improve the way that poverty is talked about in the UK. So, if those of us who want to see an end to poverty all start communicating in a more evidence-based way, using and building on the tools from this research, perhaps the public could really begin to rethink poverty. 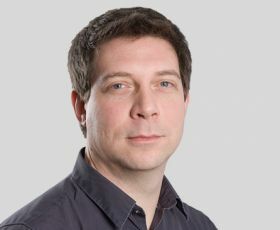 Chris Goulden is Deputy Director of Policy and Research at the Joseph Rowntree Foundation. Read Caroline Hartnell’s blog on the launch of the JRF research. #ShiftThePower: how are we doing two years on?